Spring is in the air here in South Florida, and that means it is time to start thinking about getting your home ready for the warm weather. This includes some steps that you and your HVAC technician can take to improve your home’s air quality and prepare your air conditioner for the hot months of spring and summer. Getting your air ducts cleaned is one of the best ways to improve your home’s air quality and keep your HVAC system running efficiently. Unfortunately, many homeowners never even think about having their ducts cleaned, and this can result in a variety of respiratory issues for everyone in the house. In addition to removing potentially harmful contaminants, professional cleaning will also eliminate offensive odors. You and your family will be able to enjoy safe and clean air throughout the year. Even with clean ducts, outdoor contaminants can still make their way into your home. This is why it is important to change your home’s air filters at least once a month in order to keep these contaminants out of your family’s lungs. Regularly replacing filters will not only keep your family healthy, but it will also reduce your energy bills and lengthen your air conditioner’s lifespan. HVAC systems have to work much harder to blow air through clogged filters, and this will quickly result in skyrocketing energy bills during the hottest months of the year. Now is the perfect time to start thinking about pool heater repair and maintenance. Whether you enjoy a late night dips in the pool or morning swims before the sun comes up, a pool heater will keep you warm and comfortable no matter the weather. Modern pool heaters are quite durable and will often last for up to 10 years, but older units can be inefficient. Homeowners who have had their current pool heater for more than five years should consider replacing it with a high-efficiency device. 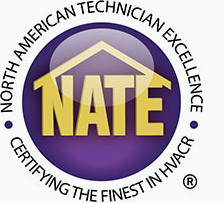 The certified technicians here at Palm Air are ready to help you get your home ready for the spring. In addition to seasonal maintenance, we can also help you with HVAC and pool heater upgrades to keep your energy bills as low as possible. 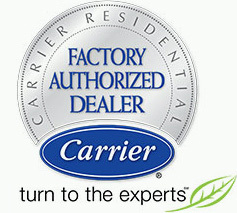 Contact us today to schedule a quick, affordable, and hassle-free service call with one of our friendly technicians.